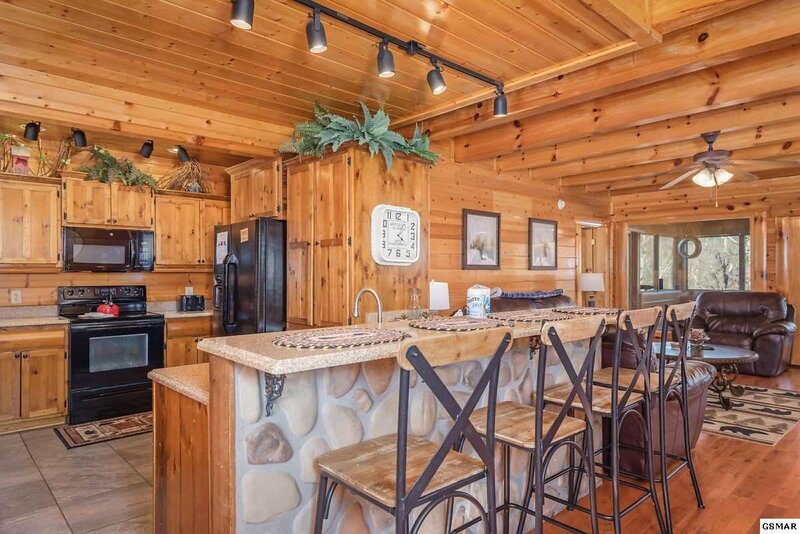 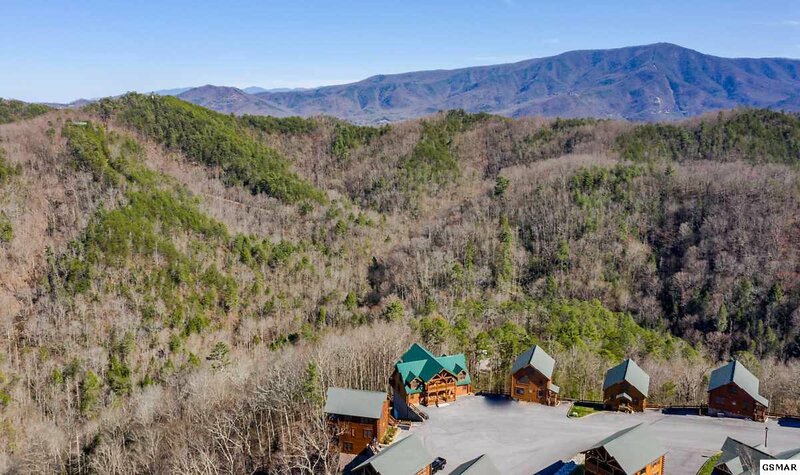 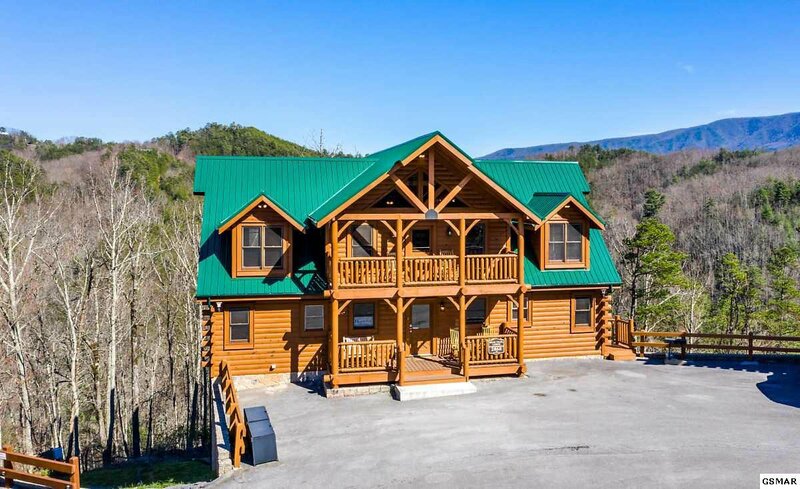 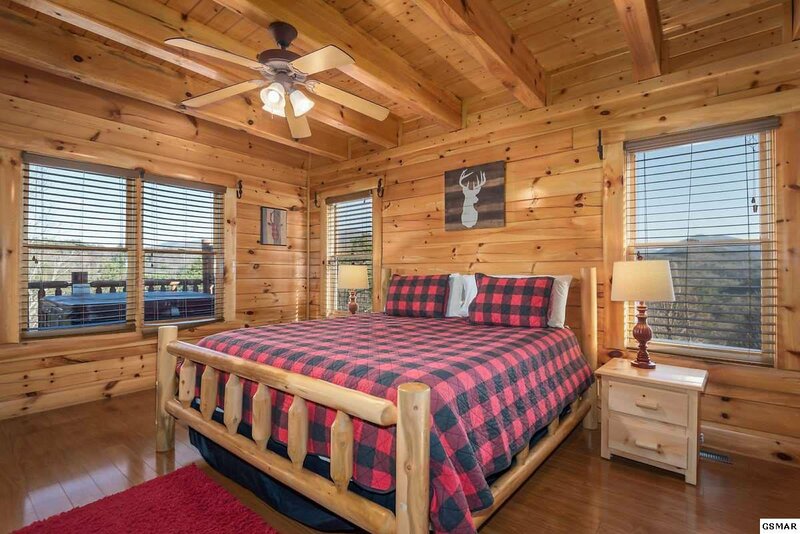 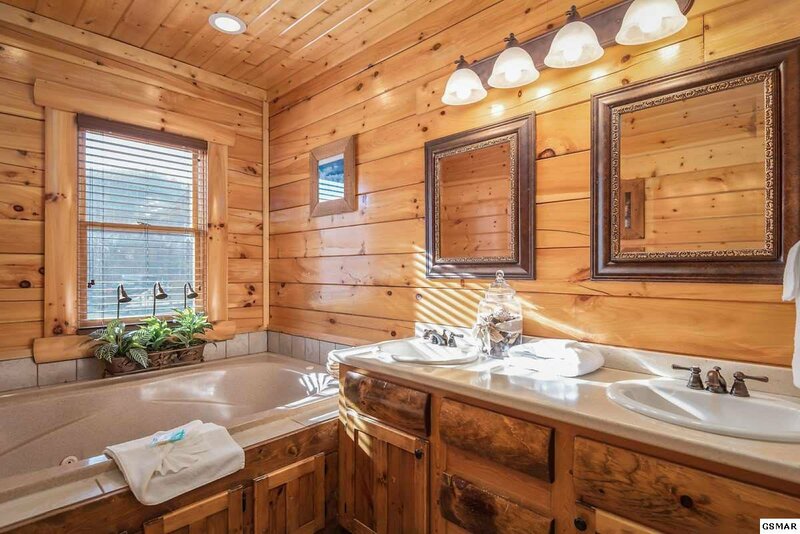 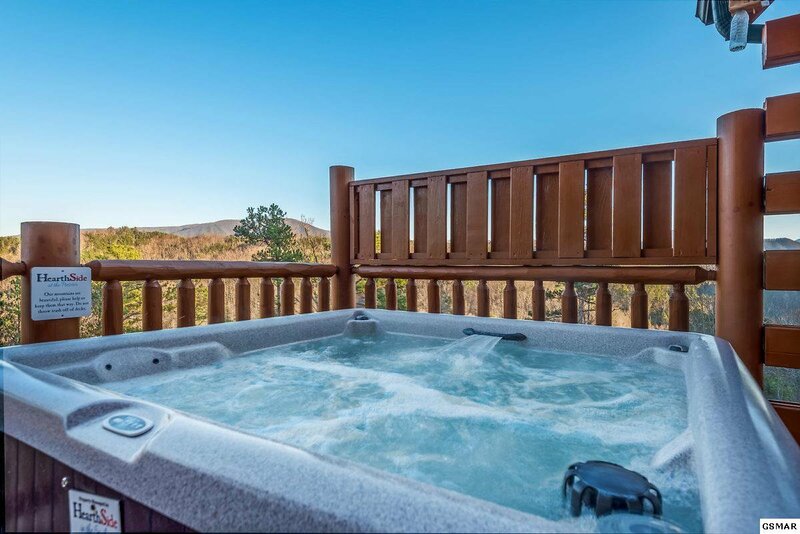 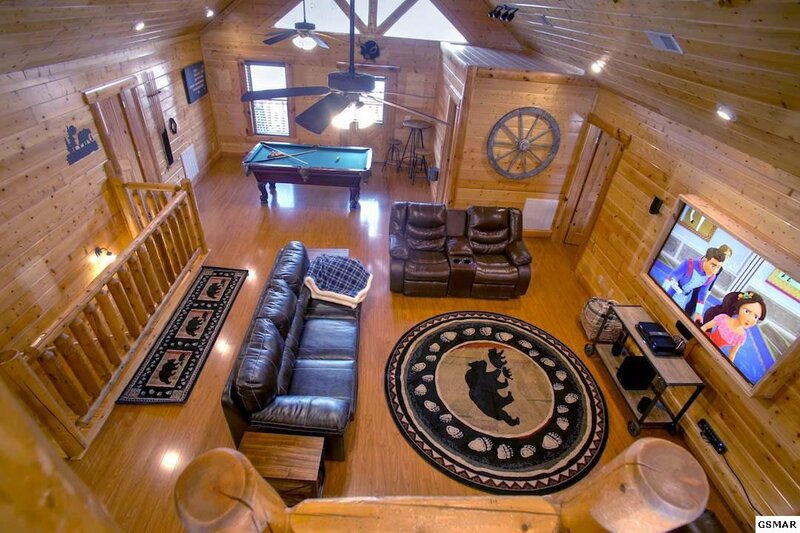 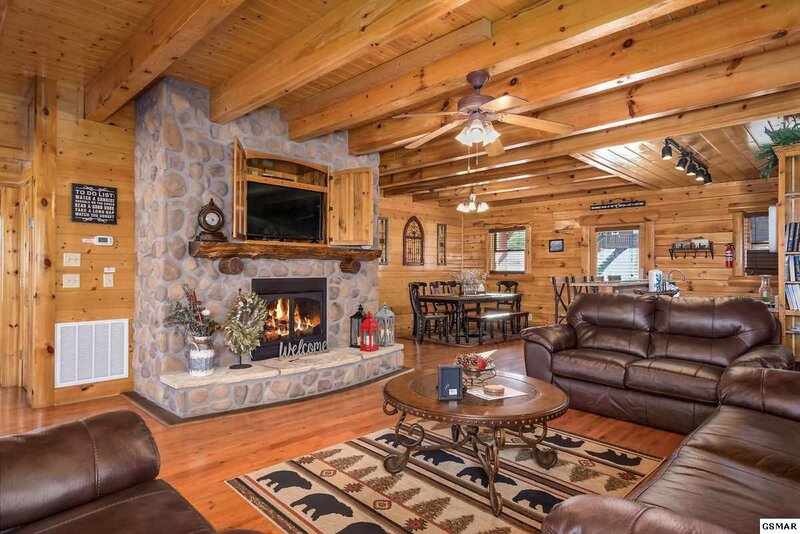 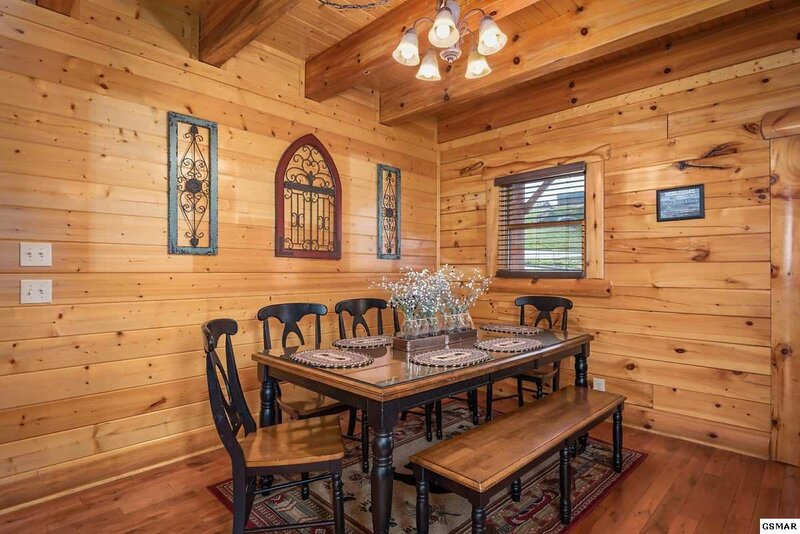 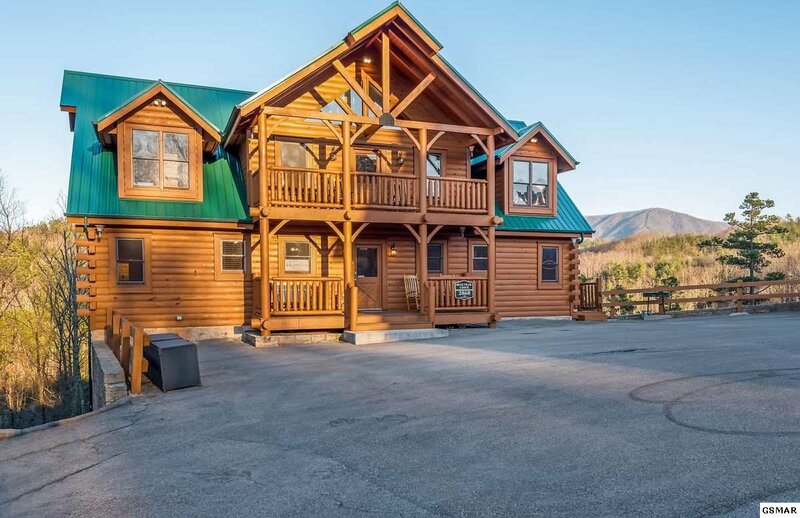 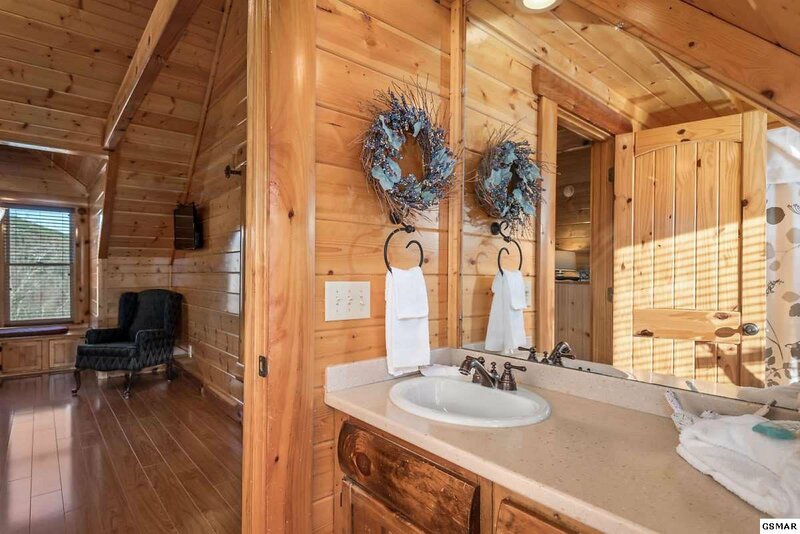 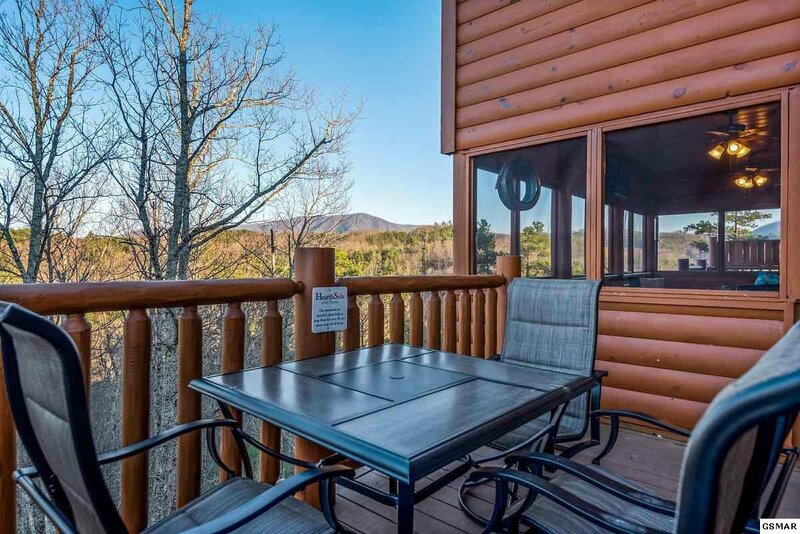 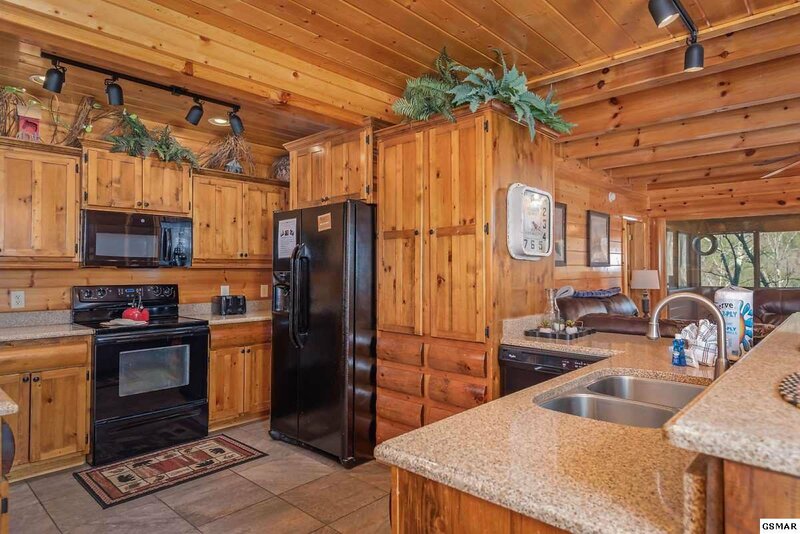 SMOKY MOUNTAIN VIEWS FROM THIS STUNNING 5 BEDROOM/5 BATH CABIN! 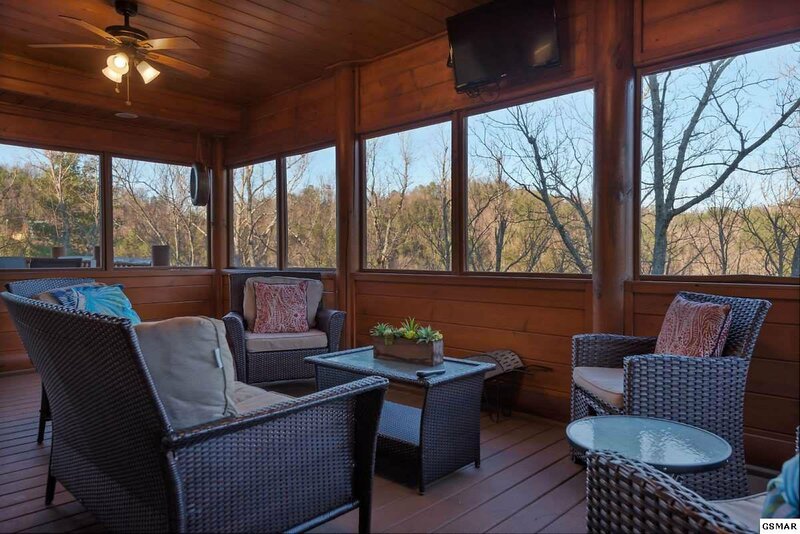 Located in The Preserve, with all the desirable amenities you could want. 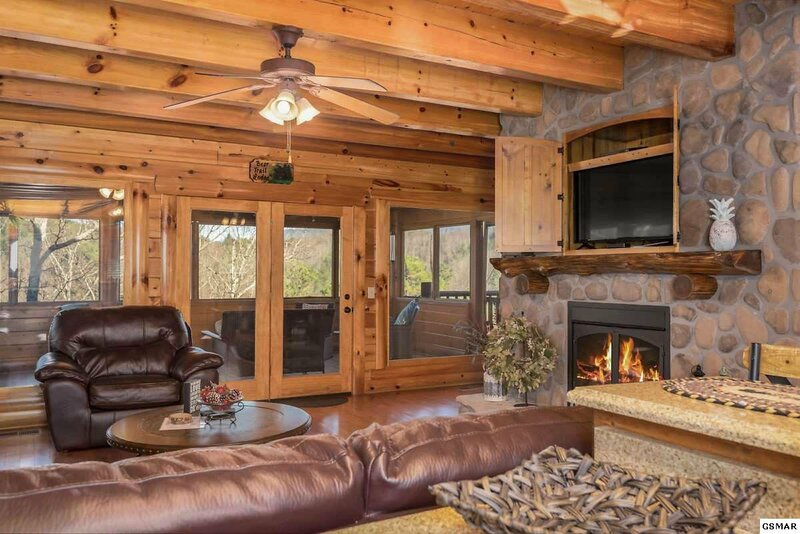 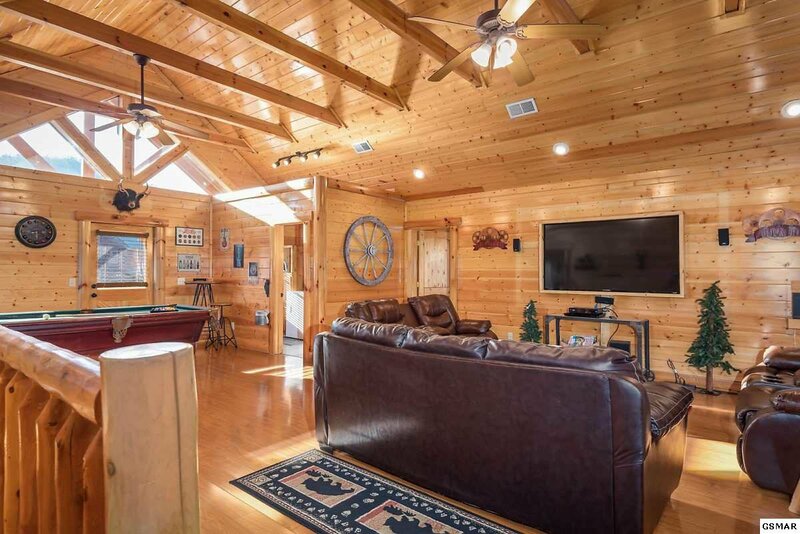 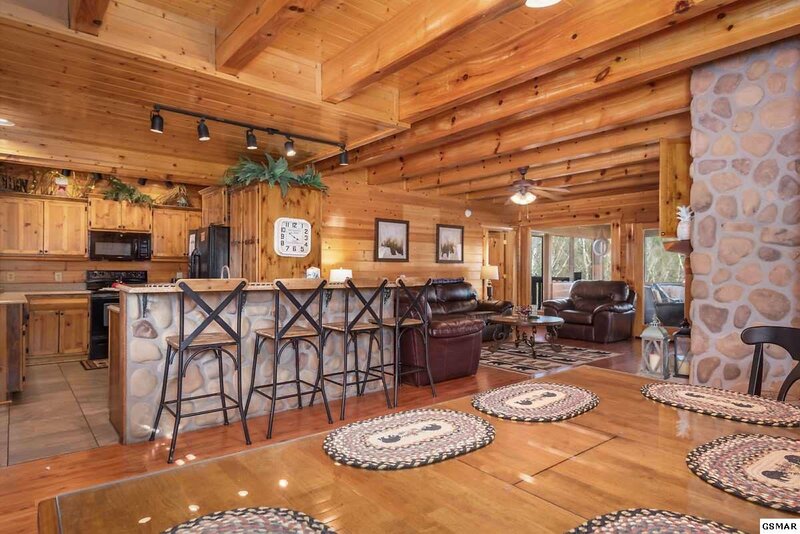 Upon entering, your eye will be drawn to the open living area & beautiful river rock stone, floor to ceiling electric fireplace, & extended living space in the 22X12 screened-in porch with plenty of seating and cable TV. 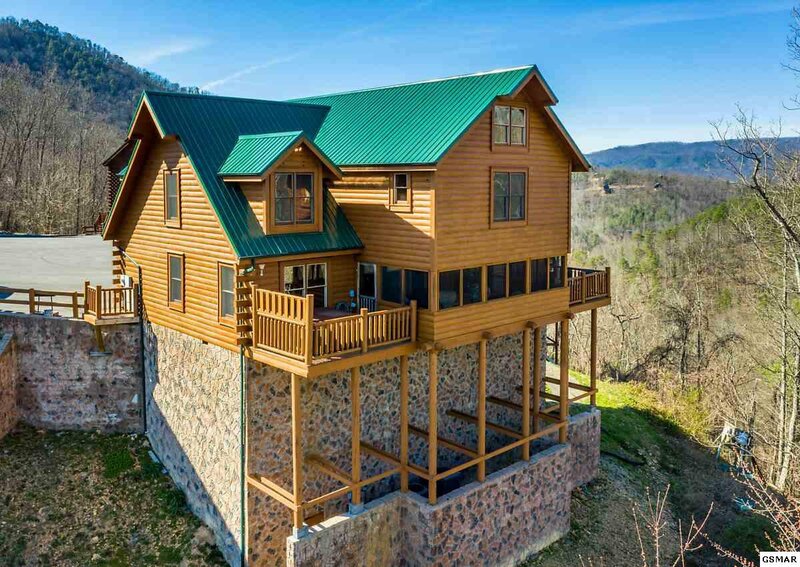 ALL with gorgeous views of the Smoky Mountains. 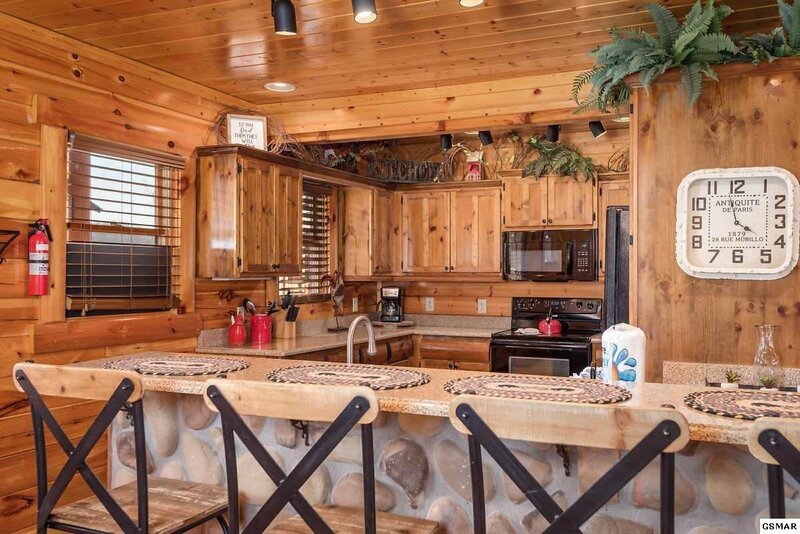 The kitchen features custom cabinetry, black appliances, eat-at bar, track & recessed lighting. 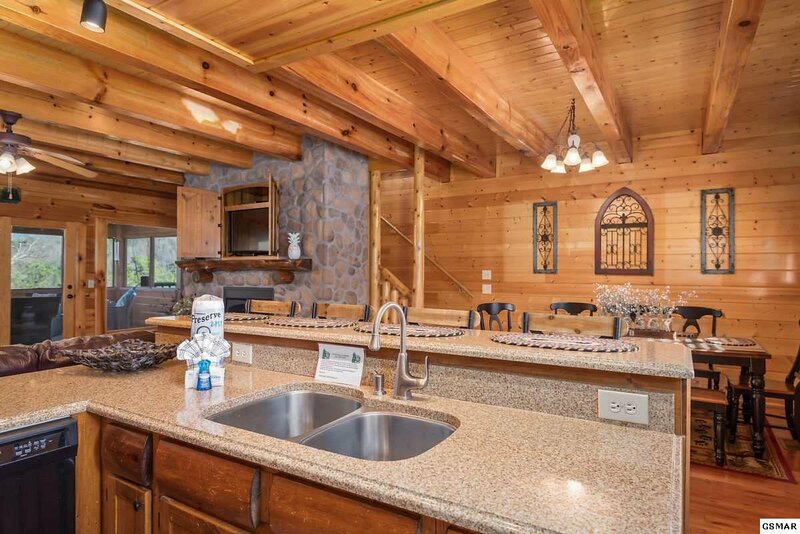 Easy prep and serving from the amazing kitchen to the open dining area. 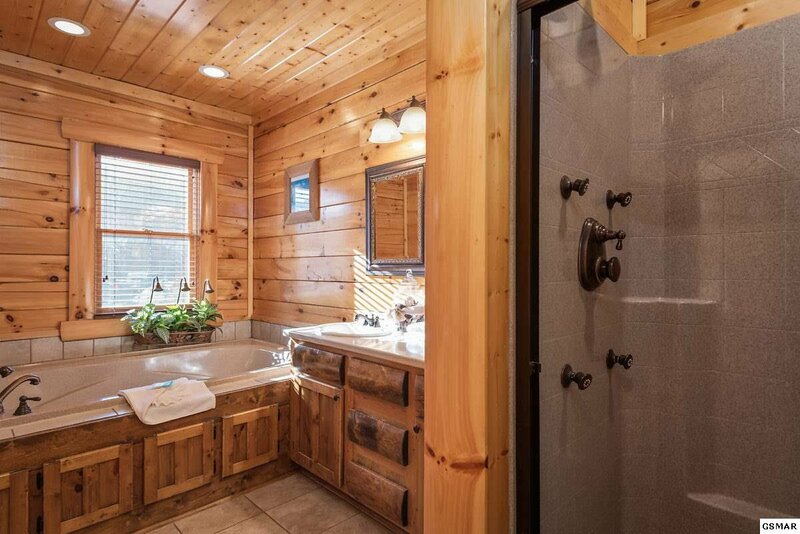 TWO spacious king suites on the main level, each with multi-jetted tubs & walk-in showers, and double vanities. 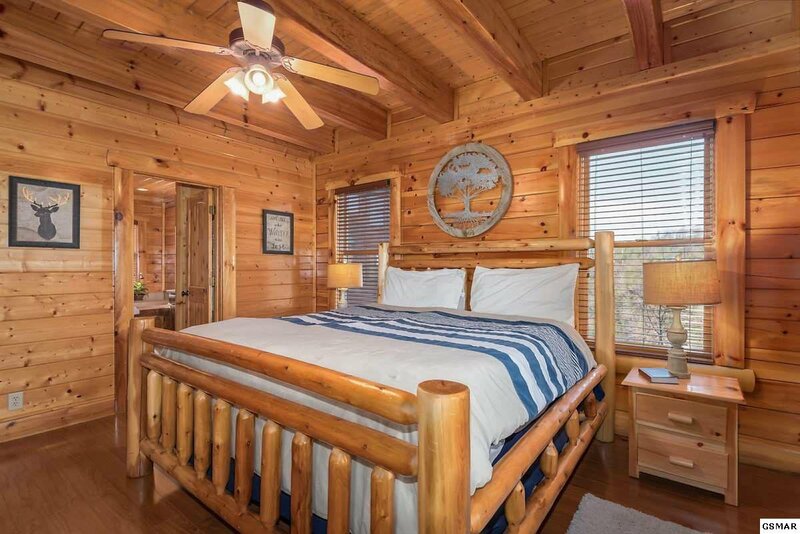 The second floor is host to a media room; game room with pool table; laundry room; and TWO more queen suites with jetted tubs/showers; ANOTHER BEDROOM with double twin bunk beds and access to a full bath; and access to the LOFT that can be used for extra sleeping complete with two futons. 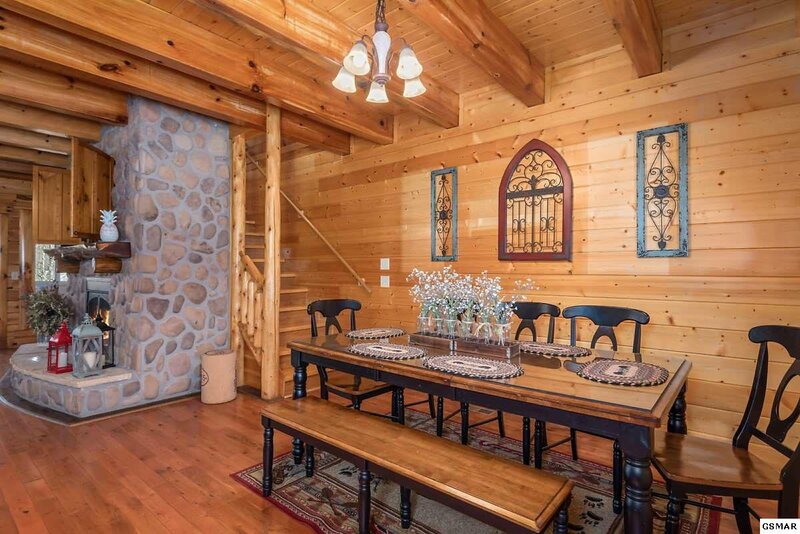 Hardwood floors, Tongue & Groove, and granite throughout. 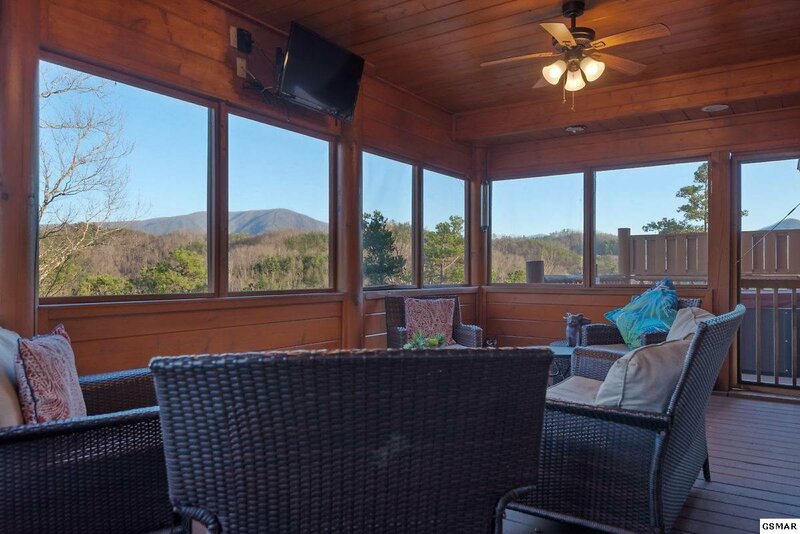 An open deck is featured on the left side of the screened porch and the hot tub is on the right side, all private, with unobstructed views. 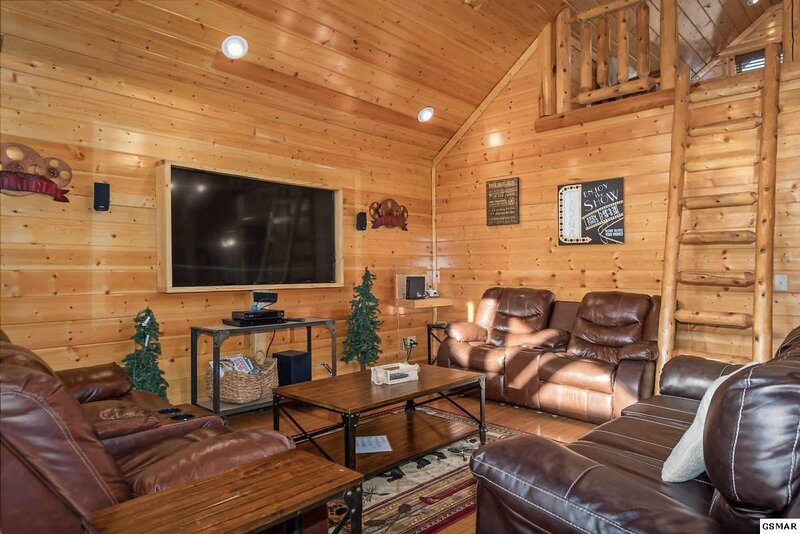 Extra storage located in basement for your seasonal decor. 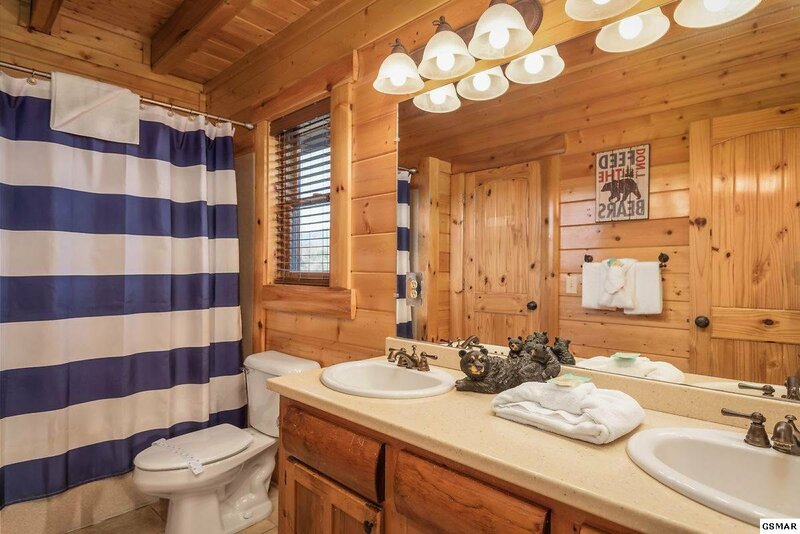 COMPLETELY FURNISHED with beautiful furnishing and decor. 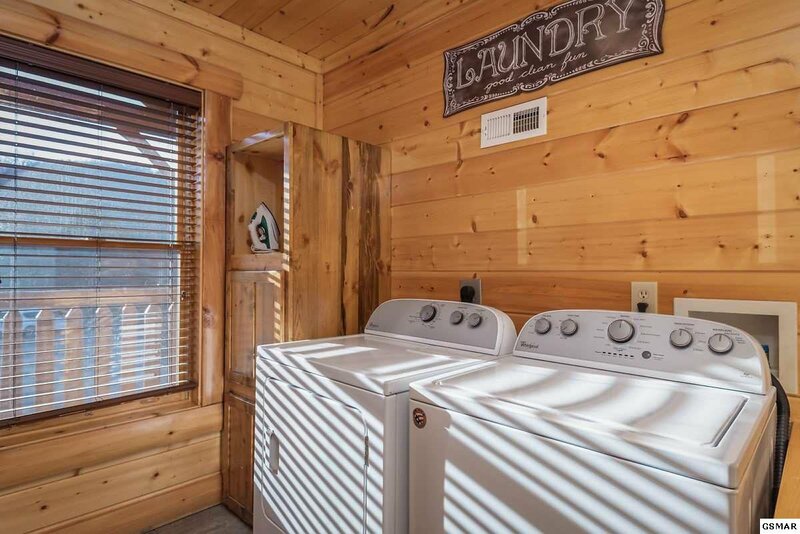 New HVAC, floors refinished, staining, hot tub, appliances, furnishings & decor in 2017; metal roof in 2018. 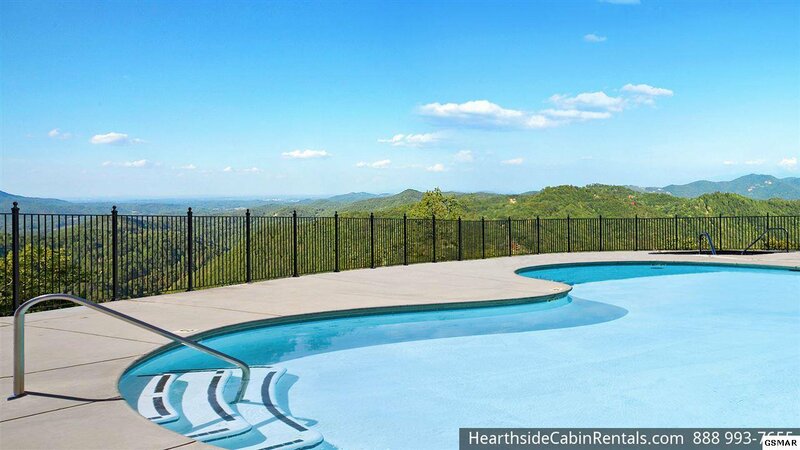 "The Preserve Resort" has a gorgeous outdoor pool and hot tub, large covered pavilion with stone fireplace looking out towards incredible blue vistas of the Great Smoky Mountains! 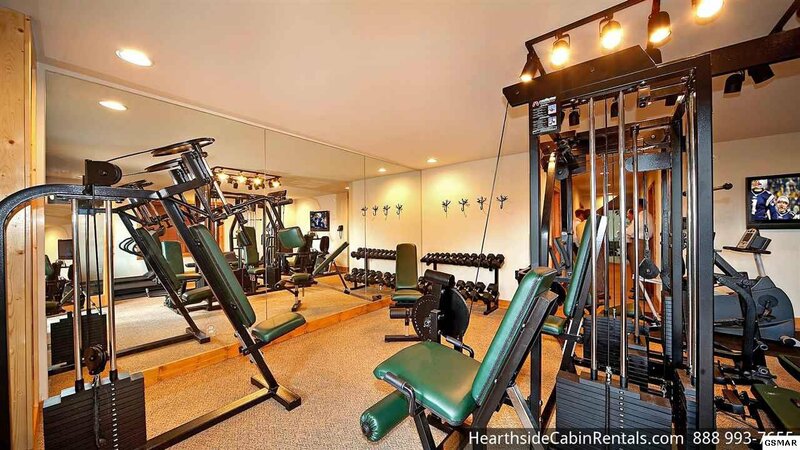 Other resort amenities include, fitness center with steam room & sauna, club house with meeting rooms, and a Wedding Chapel.